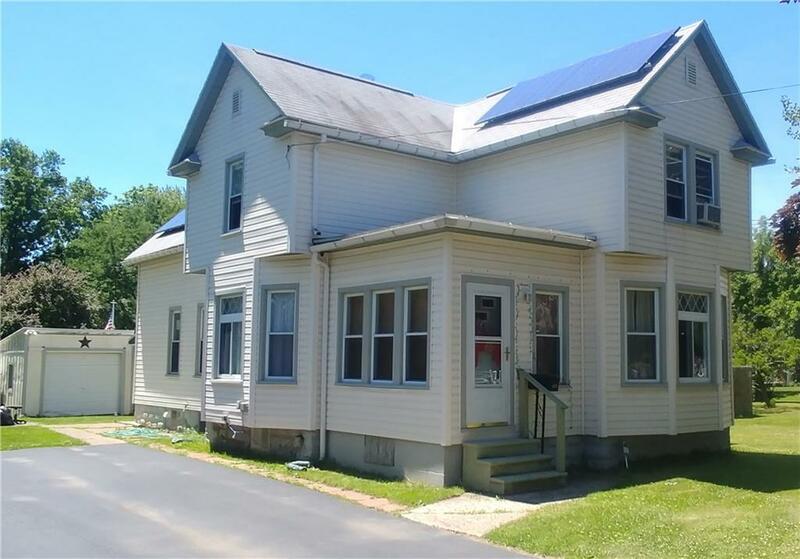 This 4 bedroom 1.5 bath home has been completely transformed in the last 14years with many renovation projects including new siding, roof, driveway, sewer line, windows, roof, solar panels and much more! There is also plenty of privacy with the partial fenced in very large yard that is 120 ft wide! The one car garage has an extension with a covered porch area with a little elbow grease can be a "He-shed" or a "She-shed"! Inside you will find a separate living room, dining room and kitchen with a first floor bedroom and bathroom while upstairs has 3 other bedrooms and a half bath. There is also a place upstairs for an office, reading nook or add a wall as the current owners once had to make a 5th bedroom! All appliances are included as well as a Home Warranty!